When travelling to Petrovaradin, Belgrade, Nis, Timisoara, the submerged island of Ada Kaleh-New Orsova, and Alba Iulia (see the map here), we can admire huge fortresses that are testimonials of a consistent military past. Only few visitors know that these fortresses, built by Austrian-Hungarians, were in fact all conceived by Swiss military engineer Nicolas Doxat (Yverdon 1682 - Belgrade 1738), who was called "the Austrian Vauban". Spending most of his life in the Balkans, Doxat was eventually sentenced to death and beheaded in Kalemgdan Belgrade Fortress by Austro-Hungarians. It is surprising but there were only two artistic personalities with a wonderful sense of creative thinking who arrived in the Balkans to work from the Insubrica region. We owe this research to Giuseppe Mondada, who published in 1964 a brief description, entitled "Ticinesi in Jugoslavia", appeared in Bollettino Storico della Svizzera Italiana. These artists were in fact a father and a son. Zefferino Grassi (Rancate 1872 - Split 1929) was a proven stonecutter; he gained, most likely, the mastery of his art in Ticino. In the Dalmatian region, according to Mondada, Grassi he did many engraving works. 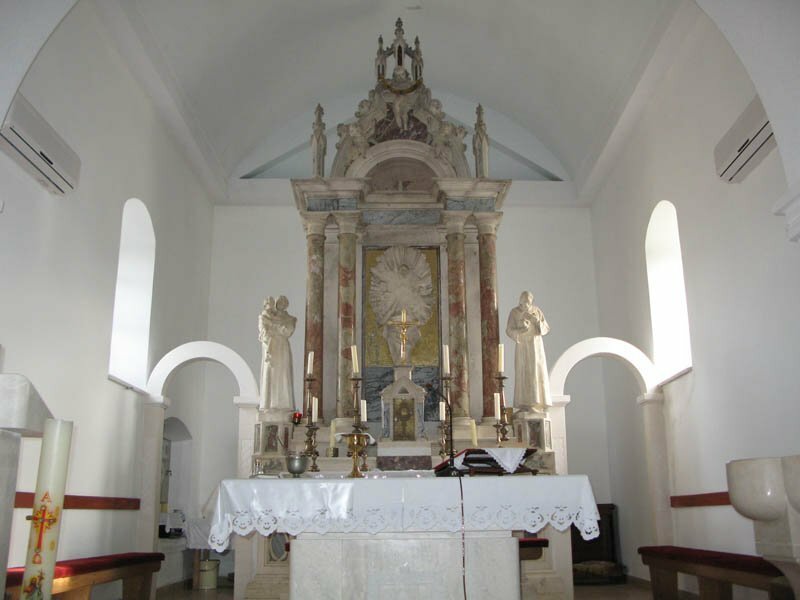 Delightful testimonials of Grassi's masterpiece could be found in a small town of Opcina Ruzic such as an altar, created in a church in Kljaci, that was partially destroyed in 1990 during the Yugoslavian War. Zefferino Grassi was married twice in the region, continuing creating various artistic works. Another example of his masterpiece is the mausoleum of a local, wealthy shipping merchant Racic in Dubrovnik/Ragusa. It is believed that Ivan Meštrović (1883 – 1962) directed ensembles where Grassi realised the interior parts. 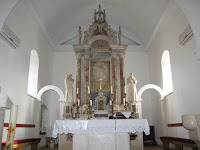 The Mausoleum, built in 1921, on the place of the 15th century Chapel of St. Rocco, was created from a white Brač stone in form of a dome; there was not a single piece of wood used throughout the construction or any other materials besides bronze doors and the bell. Zefferino Grassi had a son, Giuseppe Pino (? - 1962), who did continue the prosperous career of his father, after having studied in Paris and Milan. He worked with Ivan Meštrović (1883 – 1962), doing stonecutting works, for example, for the monument to the Unknown Hero in Avala, near Belgrade, which was unveiled, in 1938, relocating to the South-East of Belgrade. Another magnificent example of his creation is the Temple of St. Sava situated downtown of Belgrade. 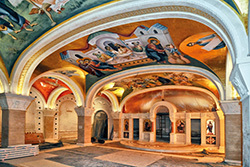 Here again, the son worked embellishing the interiors of the temple as his father transforming artistically many wonderful places in Belgrade, for example, the French Embassy and the Jugo Export building as well as the House of the National Assembly of Serbia, stonecutting the sculptures like Karadjordje of Frano Krsinic. Giuseppe Mondada, Ticinesi in Jugoslavia, Bollettino Storico della Svizzera Italiana, 1964/07, pages 119-122.